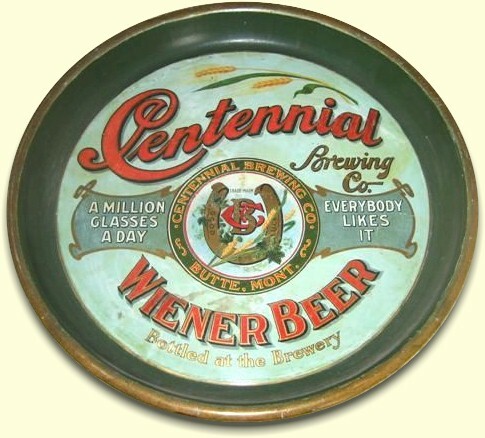 The Centennial Brewery was established by Leopold F. Schmidt and Raymon Saile in June of 1876. 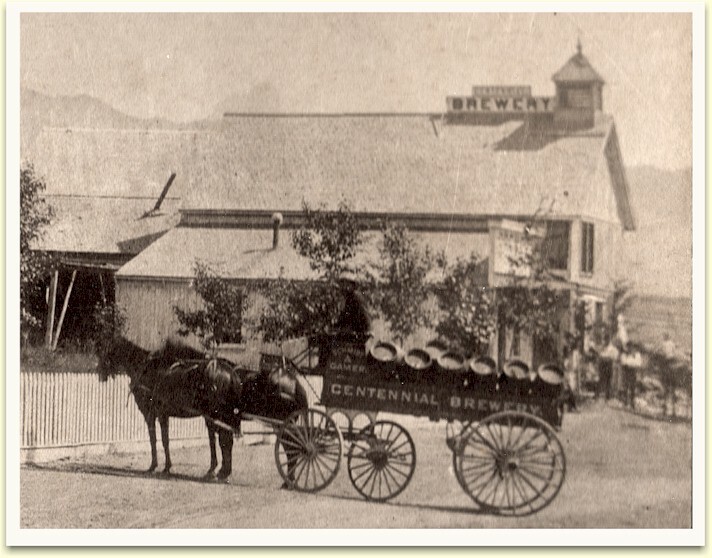 Schmidt had formed a partnership with Daniel Gamer in the operation of a saloon, and in 1877 Gamer bought into the brewery and Saile bought into the saloon. The resulting three way partnership was called Schmidt, Gamer & Company. Saile seems to then have assumed the role of silent partner, and on the 1880 census he gave his occupation as a miner. The brewing firm of Leopold Schmidt & Daniel Gamer had branch houses [saloons] at Glendale and Anaconda, and an agent at Dillion. 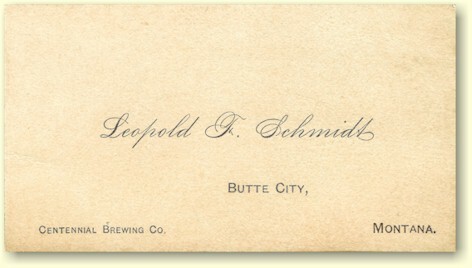 They also have an interest in the beer-bottling department of Adolph Speckart & Co., of Butte City. Here's an example of trade token that could be redeemed in their saloons. The original wooden brewery had a capacity of only 500 barrels per annum. 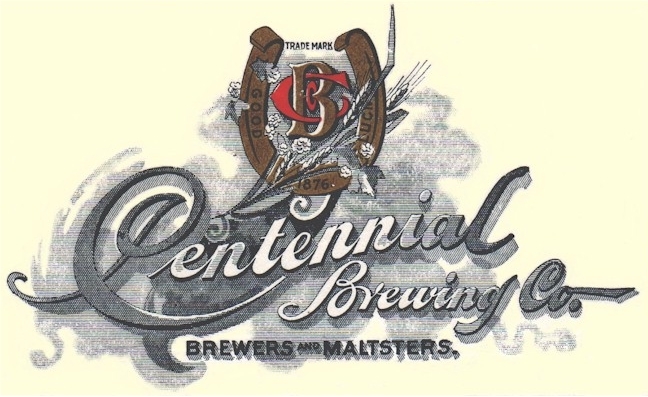 They later, erected a three-story malt house with a capacity of 20,000 bushels, and a steam brewhouse, which increased the capacity to 6,000 barrels per annum. At the time this was the most complete and best appointed mill in the Northwest. 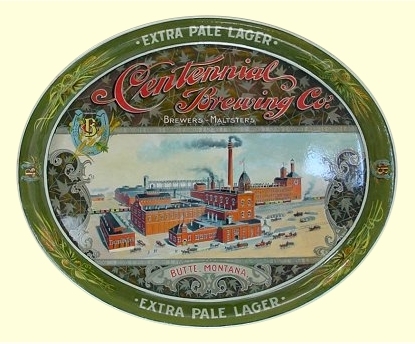 On 2 July 1880 the Butte Daily Miner reported modern improvements made to the brewery that has doubled capacity. The Beer now sells for $3/dz. [including bottles]. The company was incorporated 1888, with $100,000 in paid-up capital. The president was Leopold Schmidt; vice-president, A. Speckart; and Henry Mueller served as secretary & treasurer. 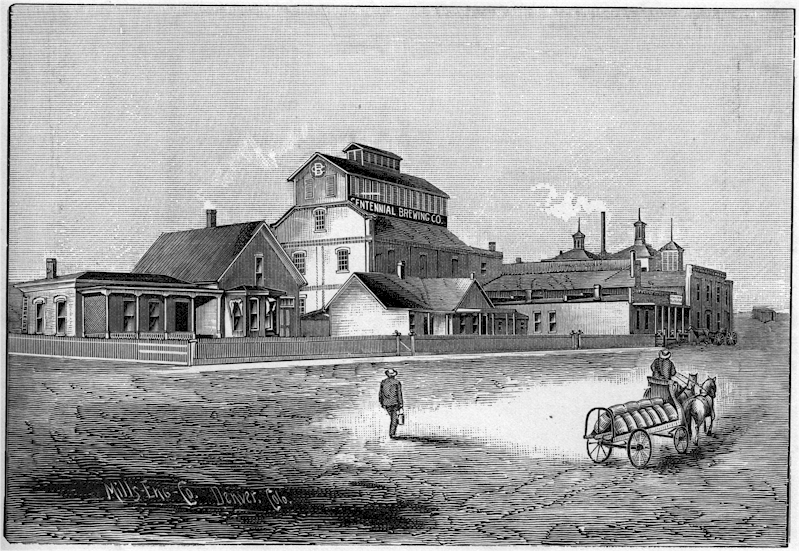 Henry Mueller was a principal stock-holder in the company, as can be seen from their advertisement (below right), and in 1896, Mueller and H. C. Kessler purchased Leopold Schmidt's interest in the brewery. Schmidt then and moved to Thurston County in Washington State where he had purchased property for a new brewery. 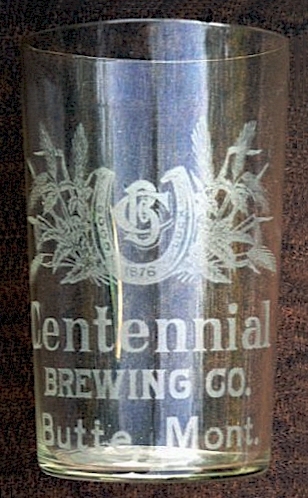 This brewery was to become the Olympia Brewing Company, and would soon be followed by the construction and acquisition of four additional breweries on the West Coast. With the 1896 stock purchase, Henry Mueller became president of the company. 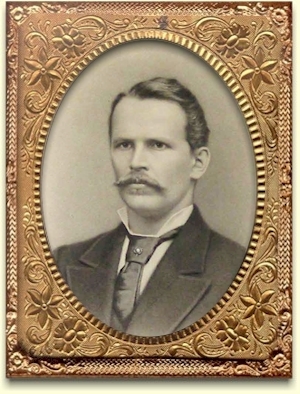 Adolph was vice-president, but died un-expectedly and the position was taken by his widow. The secretary & treasurer position was assumed by Louis P. Best, of the Best family of Milwaukee - owners of Pabst Brewing. The team of Mueller and Best was focused on growth and succeeded to add new breweries to their portfolio. One such brewery was a start-up there in Butte. It was the Olympia Brewing Company (no association with Leopold Schmidt's brewery in Tumwater). 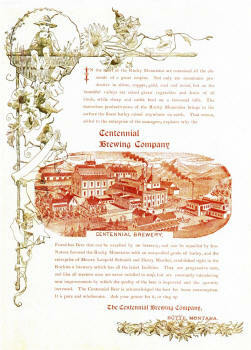 Thanks to Jim Peter, of Billings, MT for the Centennial Brewery ad.